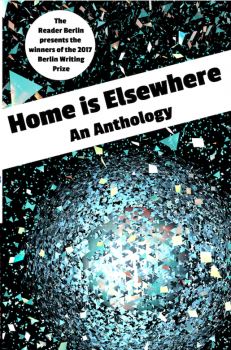 The Reader Berlin presents Home is Elsewhere, an anthology showcasing ten unique writing talents. Virginia Woolf said that a room of one’s own was prerequisite to producing good writing. In 2017, The Circus Hotel generously offered one author their own luxury apartment in the heart of Berlin for a one-month residency – and the 2017 Berlin Writing Prize was on! The Reader Berlin invited submissions from both published and unpublished writers resident anywhere in the world on the theme Home is Elsewhere. Our aim was to promote fresh, original writing and provide a platform for emerging writing talent. Judges included award-winning author Irenosen Okojie, author and creative director Michael Salu, SAND editor Florian Duijsens, writer and publisher Paul Scraton, and The Circus Hotel’s own Katrin Schönig. 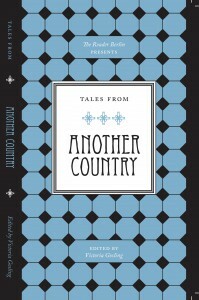 Our first ever book, produced in partnership with Another Country Bookshop and with the expertise of The Curved House. And what a beauty it is! Available as an ebook for download to all e-readers for a very reasonable €3.99, you can also buy your very own print copy by visiting Sophia Raphaeline amongst the shelves of Another Country Bookshop. Price? Depends on how interesting Sophia thinks you are apparently, but around €7.99 on average. In 2012, The Reader Berlin and ‘one of the world’s greatest bookshops’ (BBC Travel) invited writers to share their stories featuring Another Country. The judges were Sharmaine Lovegrove (Dialogue Books), Kenneth Macleod (THE INCIDENT, Wiedenfeld & Nicolson) and Jen Hewson (Rogers, Coleridge & White). 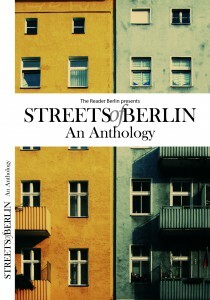 This book is an anthology of the winning entries, a showcase of new writing talent and a tribute to a very special venue. Contributors include: Victoria Gosling, Sophia Raphaeline, Ambika Thompson, Marcus Speh, Johanne Da Rocha Abreu, Brittani Sonnenberg, Pippa Anais Gaubert, Neil Bristow & Bronwyn Carter. 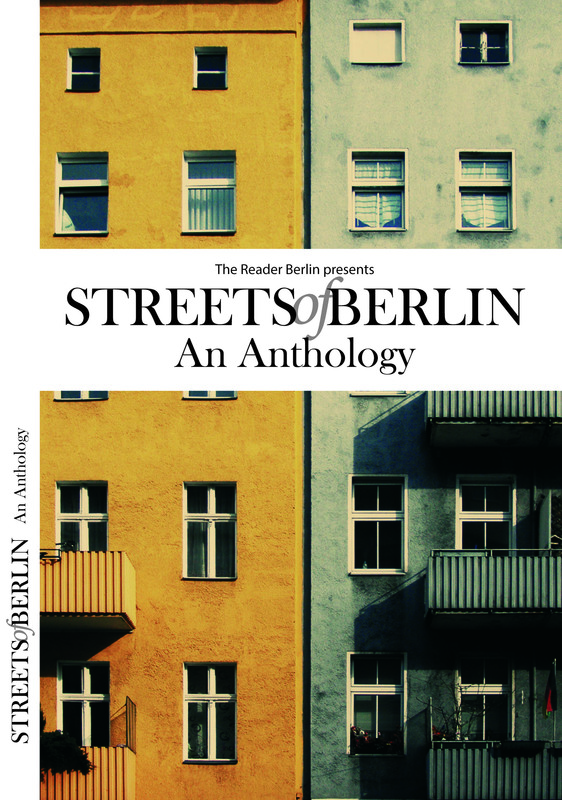 The Reader Berlin brings you ten award-winning contemporary short stories in this anthology of fresh and original writing. 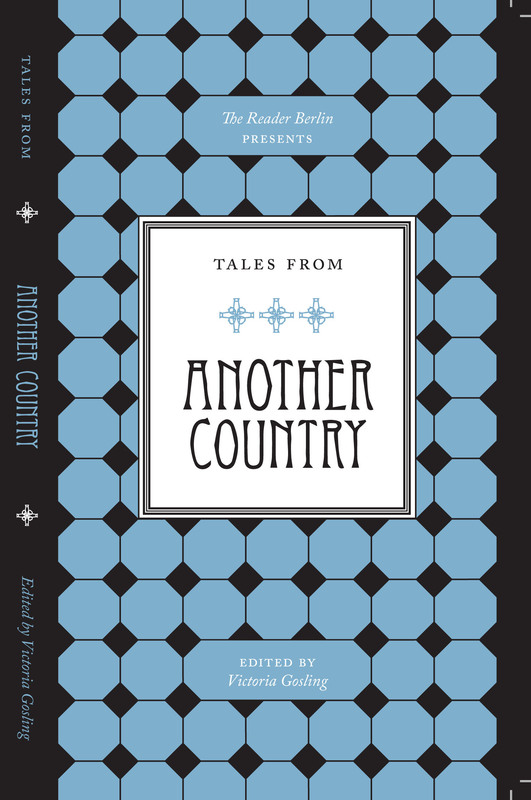 Compiled from the winners of 2015’s competition, these tales showcase the distinctive voices of ten emerging talents. United only by the city that inspired them, they bear witness to one of the world’s greatest, most mutable cities: Berlin. Selected by judges Laura Hassan (Guardian Faber), Brittani Sonnenberg (HOME LEAVE, Grand Central Publishing) and Florian Duijsens (SAND/Asymptote), contributing writers include: James Carson, Julia Lackermayer, Emily Cataneo, Abby Sinnott, Jessie Keyt, Lizzie Roberts, Simon Ward, Will Bentley, Alice Miller & Will Studdert. Coming out September 26th and purchasable as an ebook and print edition, you’ll be able to buy your copy here via epubli (or simply search for it on Kobo, Amazon, etc.). * The print version is now available on Amazon too – UK and US as well as in Germany. Delivery time 2-4 working days.